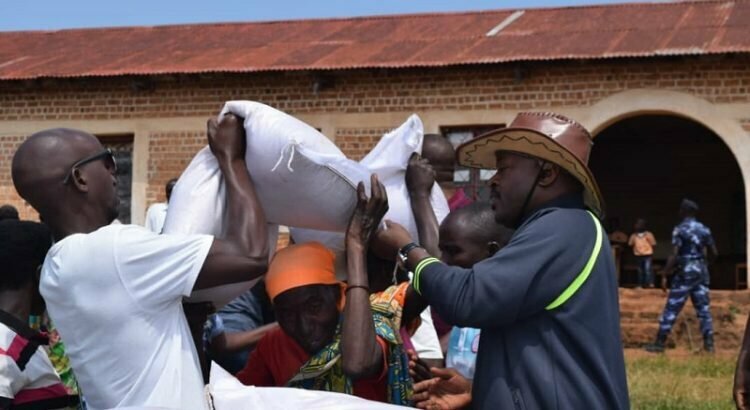 GITEGA June 7th (ABP) – The President of the Republic of Burundi, Mr. Pierre Nkurunziza, carried out on Wednesday a tour on Buraza, Bukirasazi and Makebuko communes in Gitega province (center), where he successively handed over aid consisting of 18.8 tons of rice to 1,880 vulnerable households identified on all the hills of those communes. On his arrival at the offices of those three communes located in the south of the province, President Nkurunziza was welcomed by the governor of Gitega, Mr. Venant Manirambona, together with the provincial and regional officials as well as the communal administrative authorities as well as a large crowd of peole who acclaimed his arrival. The households benefiting from those aids each had 10 kilograms of rice and expressed their heartfelt thanks to the President of the Republic, through their applause, songs and dances. In each of those communes visited, the Head of State was welcomed peacefully with a large number of people. He began that visit on Tuesday in the Gitega province, by the Mutaho commune where he handed over aid composed of rice to vulnerable households.The Head of State opened the visit to the headquarters of Buraza commune where he distributed 6.53 tons to 653 poor households identified on 19 hills. He then went to Bukirasazi commune where he also gave 5.98 tons to 598 households before the Makebuko commune where he distributed 6.29 tons of rice to 629 vulnerable households. A delegation from the Presidency of the Republic continued to distribute that aid in the other communes, particularly in Itaba, where 6.25 tons of rice were given to 625 poor households. 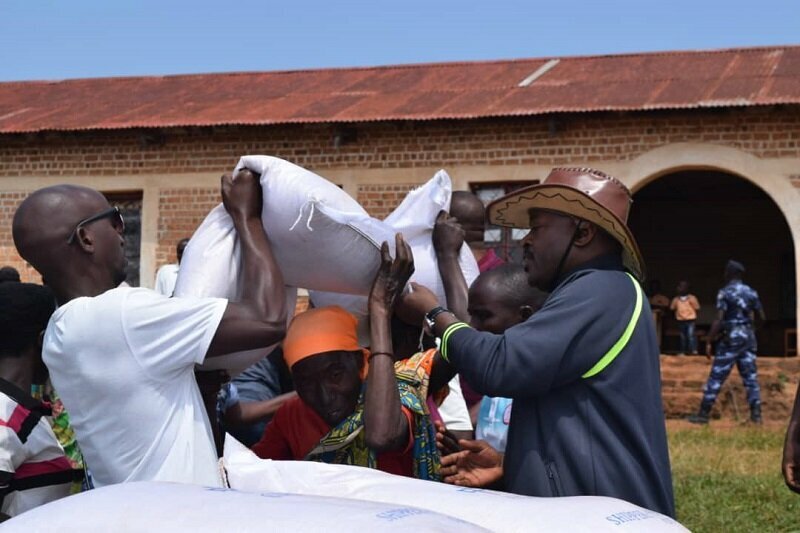 In the afternoon, the distribution of 20 tons of rice was made to 2,000 destitute households in the Gitega commune, Governor Manirambona said, adding that vulnerable households in the 11 communes of Gitega province will, without delay, acquire those aids.